Downsizing to the extreme was an easy decision for Ryan Mitchell: The math just made sense. Making the switch from his 1,000-square-foot apartment to a 150-square-foot, off-grid tiny house in Charlotte, North Carolina, meant slashing his monthly expenses from $1,500 to a mere $15. He moved into the tiny house in 2012, and in less than two years, the former corporate recruiter recouped the cost of building his home and put a lot into savings. So what counts as a tiny house? Though there is no universally agreed-upon definition, most say it is a dwelling of about 400 square feet or less. (Compare that with the typical U.S. home, which clocks in at around 2,600 square feet.) 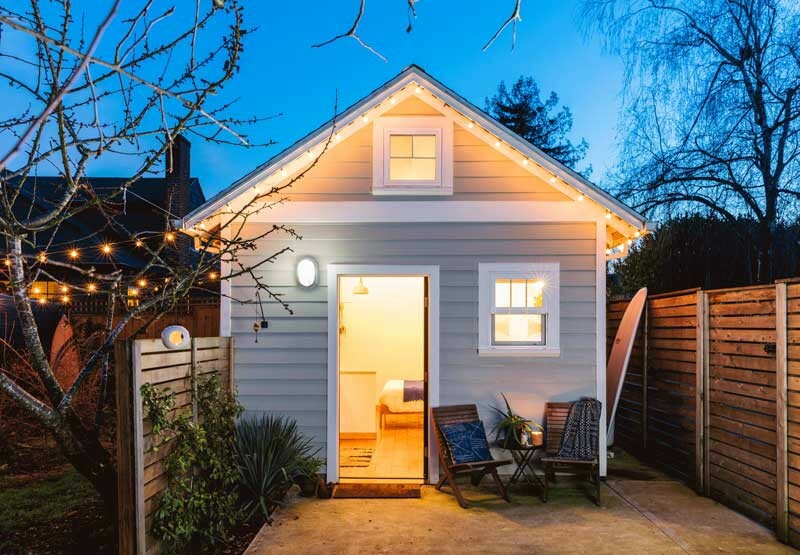 A tiny house can be built on a fixed ­foundation, sometimes showing up as an accessory dwelling unit (a.k.a. 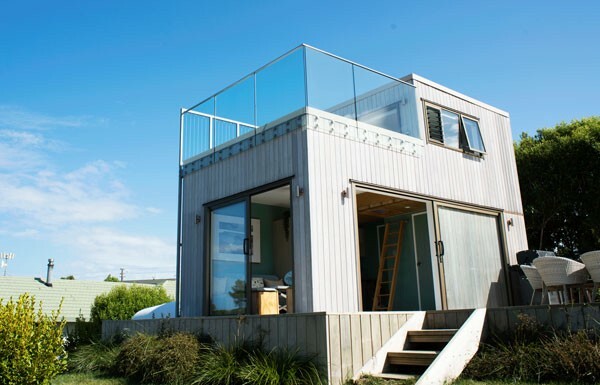 ADU or granny flat) on the property of a larger primary home, or it can be mobile. A tiny house on wheels is usually built onto a flatbed trailer; its movability helps it skirt antediluvian regulations on minimum dwelling size, the greatest hurdle tiny-home owners face when figuring out where to park their wee residence. RVs, yurts, and converted school buses also count, which is why it’s so hard to know how many tiny homes are in existence. Mitchell estimates around 10,000 in the U.S., but many self-builds go unreported, while others intentionally fly under the radar of code enforcement. Clockwise from top left: Tiny houses by Andrew MacDonald, Tiny Planet Design, CJ Gershon, and Hugh Stewart. Some theorists trace the tiny-house movement back to Henry David Thoreau’s 150-square-foot cabin at Walden Pond, built in 1845. Experts like Alexis Stephens, cofounder of the traveling documentary and community education project Tiny House Expedition, take a longer view. 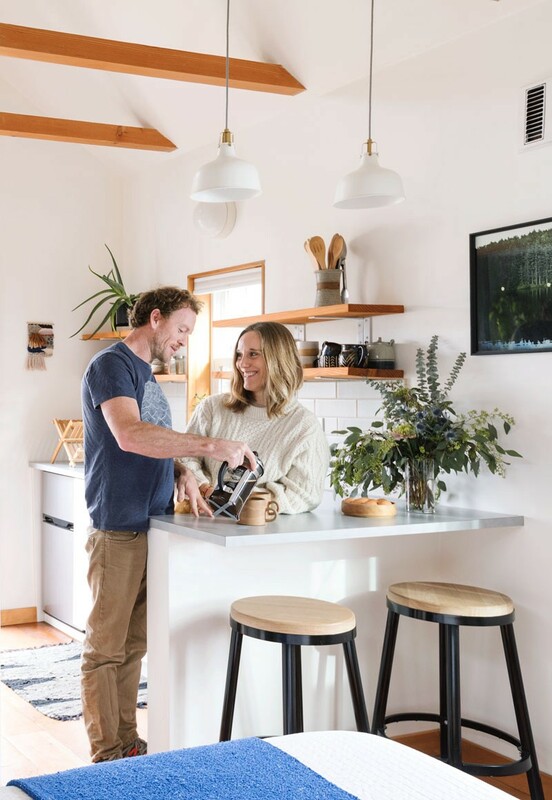 “What Americans tend to forget is that living simply and in small structures is a way of life that’s been around since the beginning of time, from cave dwellings to pioneer cabins and beyond,” she says. “In the 20th century, there are examples of small structures popping up to meet housing demand or as an escape from traditional thinking, from early mobile homes addressing post–World War II housing needs to the embrace of simple living in the back-to-the-land movement of the late ’60s and ’70s.” What happened next was a maelstrom of celebrity endorsement, economic volatility, and, eventually, mainstream validation. 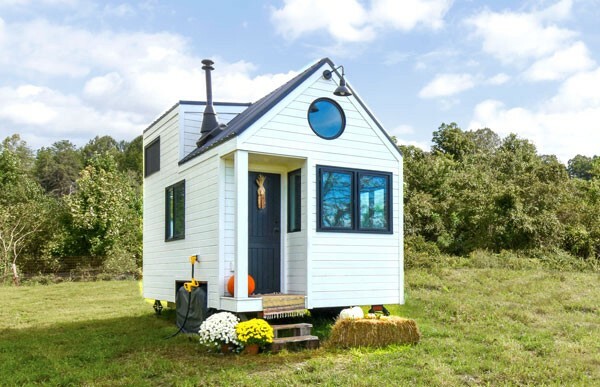 Tiny-house enthusiast Jay Shafer is frequently credited with propelling the concept of small ­living to the forefront of popular culture. 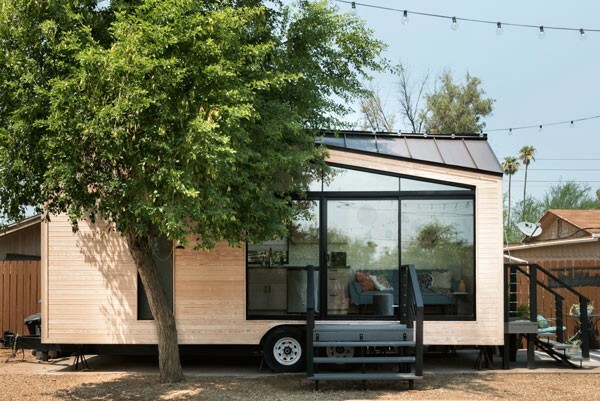 He built his first mobile tiny house in Iowa in the late ’90s and then went on to launch the Tumbleweed Tiny House Company in Sonoma, California, one of the first U.S. firms to sell tiny homes on wheels. When Oprah caught wind of what Shafer was doing in the mid-’00s, she featured him on her show and offered her own tips for small-space living — “just in time to enter America’s consciousness before the Great Recession hit,” notes Stephens. 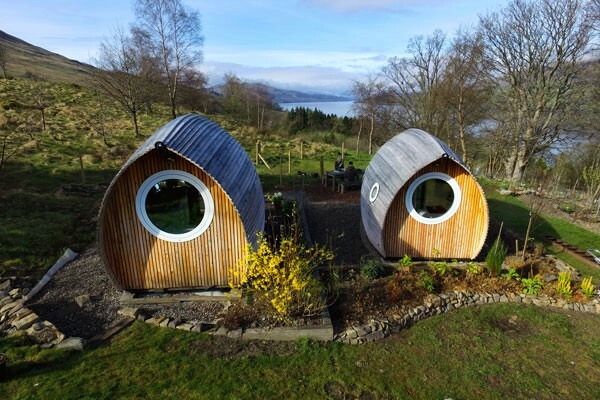 It’s no surprise, then, that interest in tiny houses has surged over the last decade. In 2013, Netflix released Tiny, a documentary about small-space living, and Portland, Oregon, welcomed Caravan, the country’s first tiny-house hotel. Tiny houses made their ­reality-TV debut a year later, with Tiny House Nation on the FYI channel and Tiny House Hunters on HGTV. On Instagram, the hashtag #tinyhouse has been used nearly a million times. 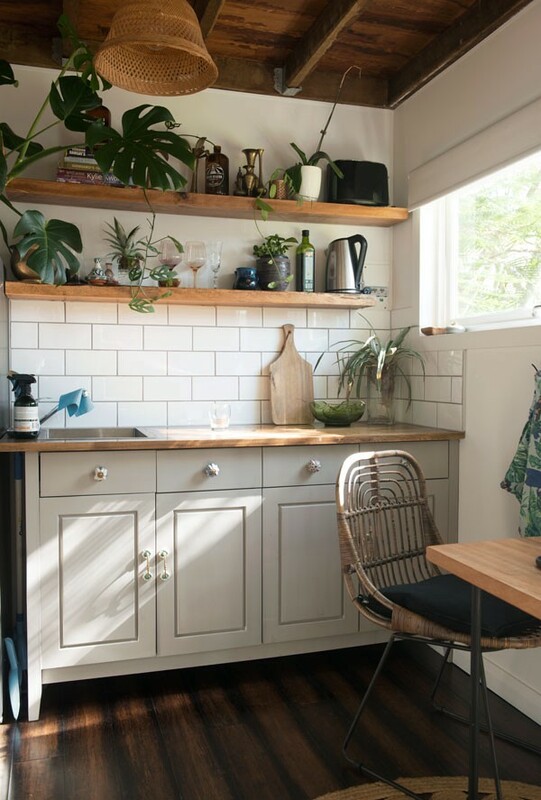 As more people join the tiny-house movement, they’re challenging themselves to get creative with their Lilliputian abodes, styling them artfully and dreaming up fresh ways to maximize their functionality when space is at a premium. 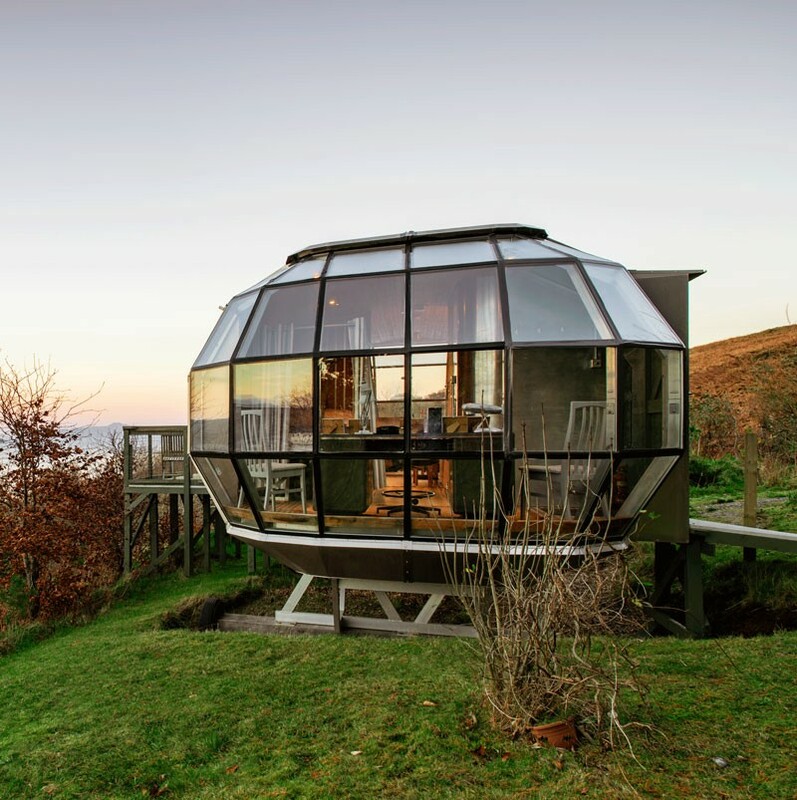 Those clever interiors have drawn attention to the concept, sparking a growing interest in smaller-scale lodging among travelers, too. 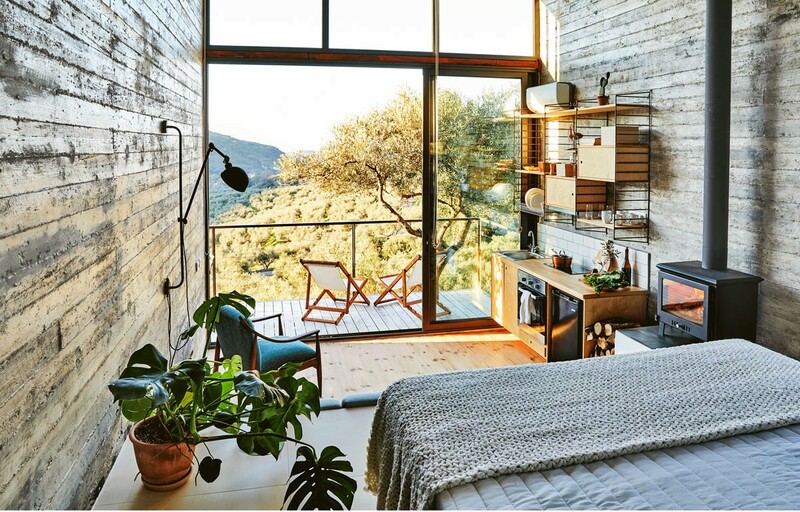 Whether your curiosity is driven by FOMO or you’re actually inspired to downsize — and serious about it, as many cash-strapped millennials, retiring boomers, and environmentally conscious homeowners are — renting a tiny house is the best way to test-drive this potentially big lifestyle change in a small (literally!) way. Note: Interviews throughout have been condensed and edited for clarity. Genevieve Hammond, Superhost: This tiny house has some cool history. It was built during World War II, when the city of Portland had wartime incentives for [homeowners] to build additional living spaces for people helping in the shipyards. When we bought our cottage, back in 2009, I think the tiny house behind it was being used for storage, but it had a chimney, water hookup, and electricity, so we were wondering what the deal was! My husband converted it into a music space for playing instruments. But he wasn’t using it much, so in 2015 we made it a living space. 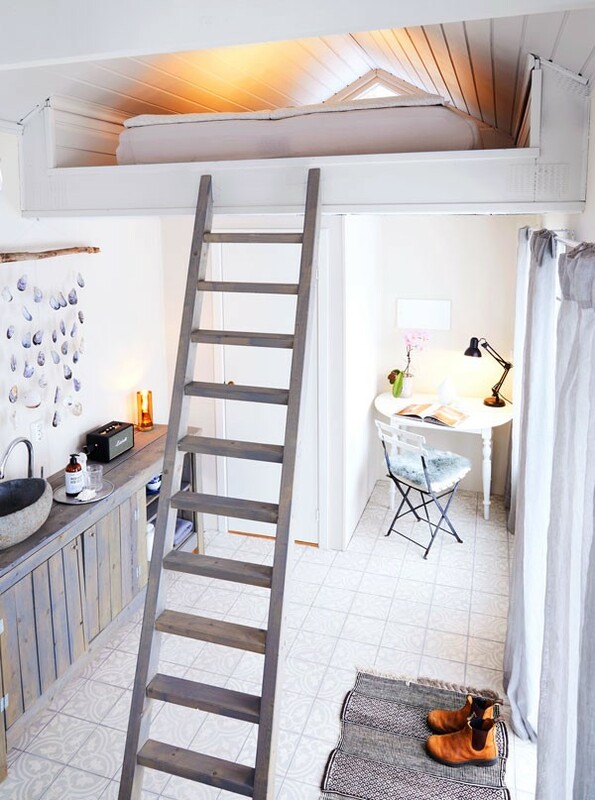 The pictures make it look spacious, but this is a real tiny house — just 216 square feet. We really had to think about maximizing the ­interior design. We considered a Murphy bed, but once you put it down, the bed takes up the whole studio. So we put in a queen-size bed, plus side tables with ­storage. We couldn’t do a loveseat or couch but we have a cool chair that’s become the ­“Instagram chair” because it’s covered in a sheepskin and has a plant in a macramé holder above it. 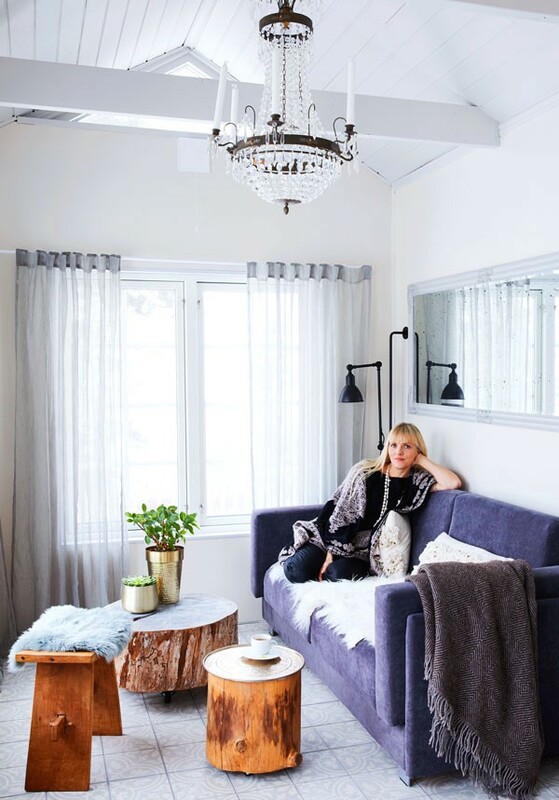 I wanted the space to be bright and airy, with a Scandinavian cabin feel. We kept it heavy on the white and used a reflective paint to bounce light off the walls. The coziness comes in with the textiles and ceramics from vintage shops. A local designer, Emily Katz of Modern Macramé, consulted on the boho look. 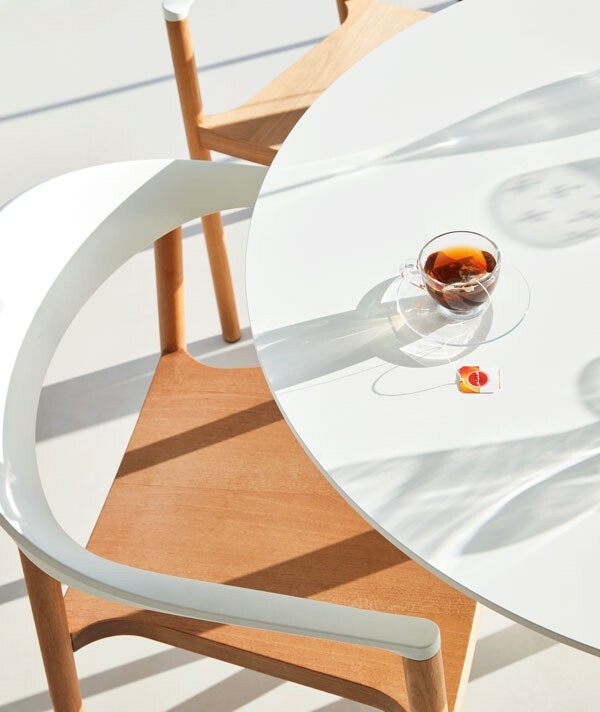 The kitchenette is ­minimal. We have a hot plate and a toaster, so you can eat a light breakfast. We didn’t feel we needed a full kitchen because Portland is a food city — we figured people would want to be out exploring. The backyard is pretty special. Guests can pick cherries, blueberries, or apples if they’re in season, or grab an egg from our chicken coop. We have four ladies — Goldie, Scarlet, Jane, and Adele — each with her own personality. Visitors often say they’re inspired by how small the footprint of the house is and how little you need to make the space functional. 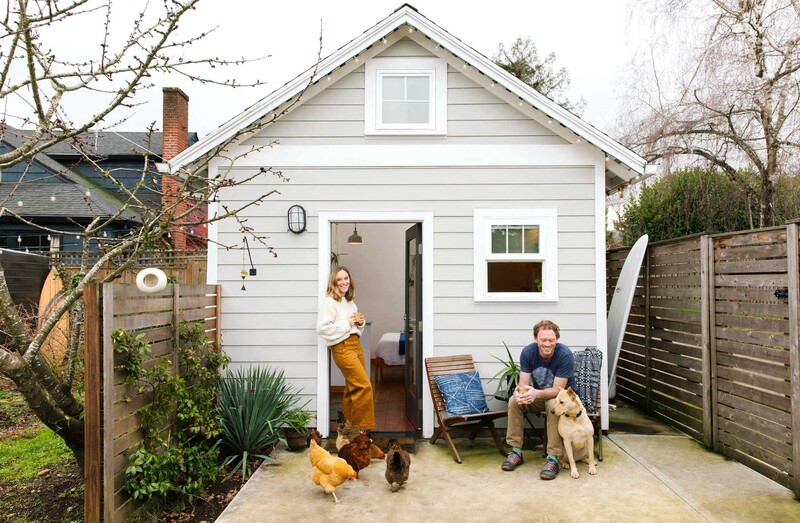 Still, the house is most agreeable to people who want a comfortable place to hang out, take a quick shower, cook an egg from our chickens, then enjoy what Portland has to offer. Victoria Ebner, Superhost: This property has been in our family for generations, but we didn’t build the houses until autumn of 2014. 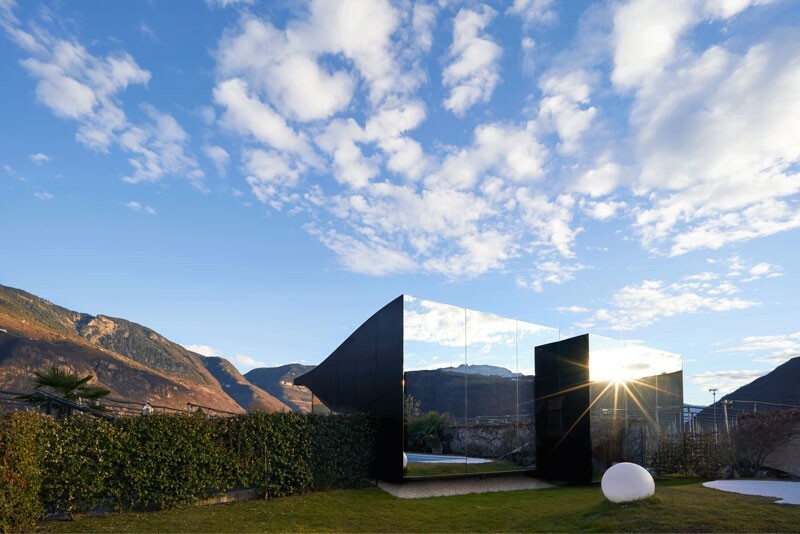 My mother [Sabina] wanted to give a young architect [Peter Pichler] a chance to show what he could do. He has fresh ideas, but it’s not just about the architecture, it’s about fitting the architecture into the environment. The idea was to build two holiday houses in the garden [behind the main house], but my mother didn’t want to see the houses. The mirror ­siding was my idea. It makes the garden look bigger. My mother used to be an interior designer, so she chose the inside. Sabina Ebner, Superhost: Each house is all white, like being in the middle of a dream. Most of the furniture is Italian. The lamps are from Artemide, we have a Ghost couch from Gervasoni, and the chairs are from Plank [where Victoria used to work]. The kitchen has a dishwasher, microwave, oven, sink…everything! 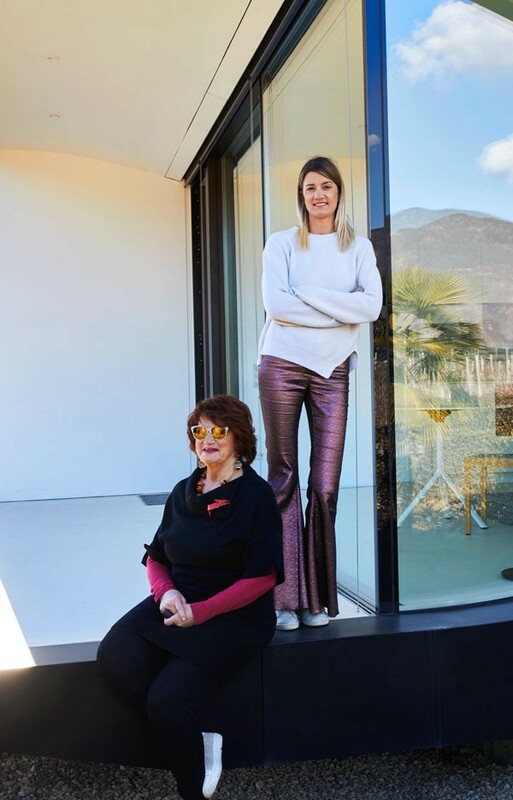 Everything in the house seems bigger than it is because you can open the large windows in the kitchen and living room onto the ­terrace, where you have your own private garden and the swimming pool. Victoria: It’s very bright and also very comfortable. The ceiling is quite high [8.8 feet], there are windows all around, and there’s a skylight over the bed so you can see the stars. And even though they are attached to one another [via a shared wall], you can’t see what’s happening in the other house. There’s a fence full of jasmine flowers separating them. Sabina: The plants are about 6.5 feet high. You can lie there naked and nobody can see in! Victoria: But we do enjoy the company of our guests when they want that. Many times we’ll hang out together at the pool bar and have drinks and tell each other silly stories. 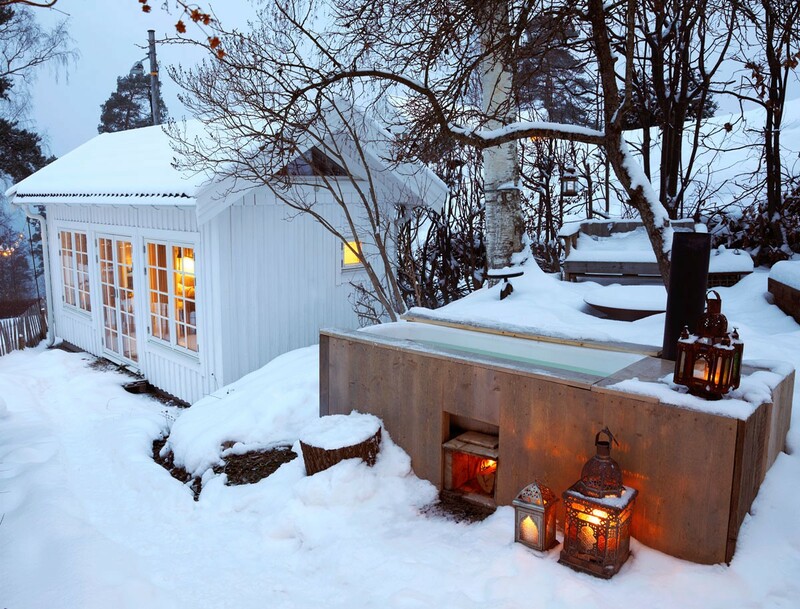 Paulin Skoglund-Voss, host: The tiny house sits at the end of our property. I built it myself, with help from my husband, my father, and my brother. I was inspired by the tiny-house movement in the United States. I watched shows like Tiny House Nation on Norwegian television and spent a lot of time doing research on the internet. Tiny houses are everywhere on Pinterest and Instagram. I had to apply for a permit to build it, because we live in an “exposed mountain area,” meaning we’re not legally allowed to build anything on our property because it can be seen from the ferries and ships on the fjord. It took two years to get permission, but I finally got it through. The house is 129 square feet. It doesn’t have a full kitchen or a washing machine. There is a combustion toilet, which is environmentally friendly and leaves behind ashes I can put in my garden. There is no shower inside, but I’ve got an ­outdoor solar shower for use in the summer and a wood-fired bathtub for fall and winter. It takes around three hours to heat the water, but then it’s really hot and you have a view of the fjord and the stars above and the branches from our plum tree. It’s really, really nice. Roderick James, Superhost: [My wife, Amanda Markham, and I] are used to being in small places and enjoying it. We spend about half of our time on a houseboat in ­London. 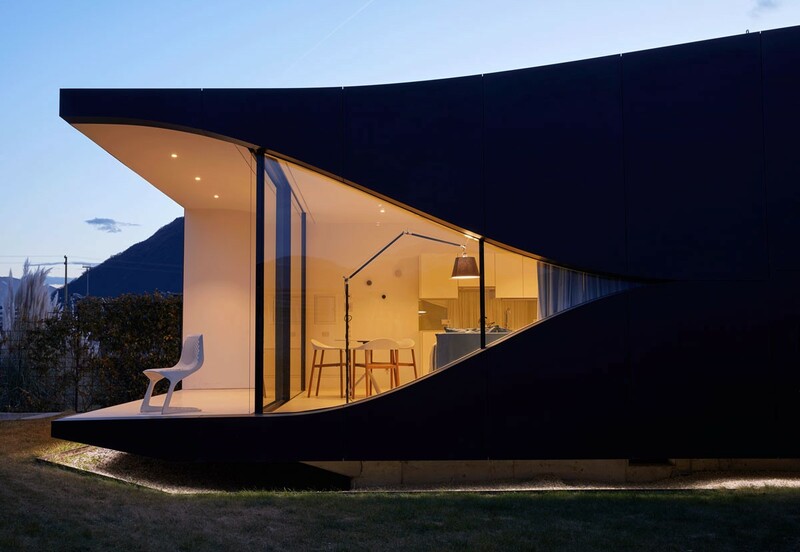 I’m an architect, and I built my practice on ­cabins. The problem with many wooden buildings — and I’ve been designing timber structures all my life — is that they deteriorate; they get mold over time. The AirShip was my attempt to design something with an iconic presence that’s virtually maintenance-­free and could be erected in a week on almost any site, anywhere. There are, like, 3,000 components, all of which have to be welded or bolted into units that can be carried by two people. 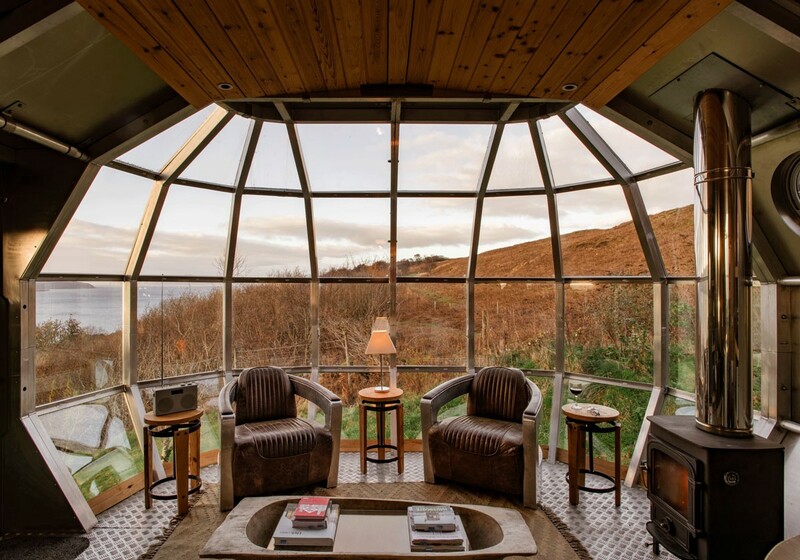 The AirShip was built to capture that spirit of living in the outdoors. We put big dragonfly windows on each end to break up the view into lots of little parts — like a fly’s eye. We wanted a desk because people arrive with the idea that they’re going to sit there, with that view, and write their first novel. There’s also a double bed with curtains. The AirShip is plumbed into a septic tank and has electricity, but it could be off-grid if we wanted. 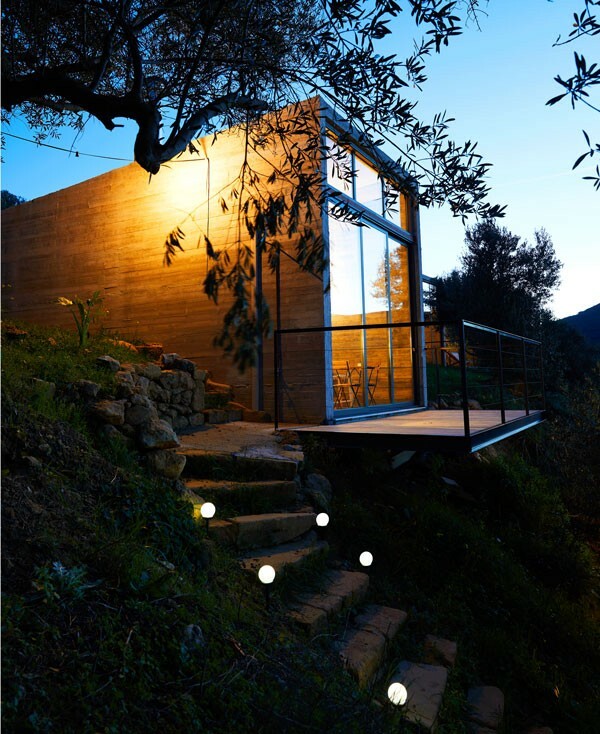 Matt Zuccaro: We had a bit too much wine one night and came up with the idea [to build a tiny house]. I’d never built anything structural before, so I went to the junkyard, picked up all the windows and doors, and refurbished them. We dug everything by hand — all the footings and the trenches for the power and water, right down to the sewer. Dannielle Drake, Superhost: I have a background in architecture, so I did all of the plans and the design. It’s nestled in a tropical garden in our backyard. Matt: We worked on it for seven months, every ­single day. We hired a builder to help us with the foundation, frame, and roof. Danielle’s dad, Doug, gave us a hand as well. Dannielle: My dad came over from London, Ontario, for a holiday, but when he saw how much work we had to do, he extended his flight and was out here every day, putting hard work in from 7 in the morning onward. We named it after him: Hale Douglas. Matt: The exterior colors were inspired by houses in Kauai, Hawaii, where we got married. A lot of them are green with a red corrugated rooftop and white trim and doors. 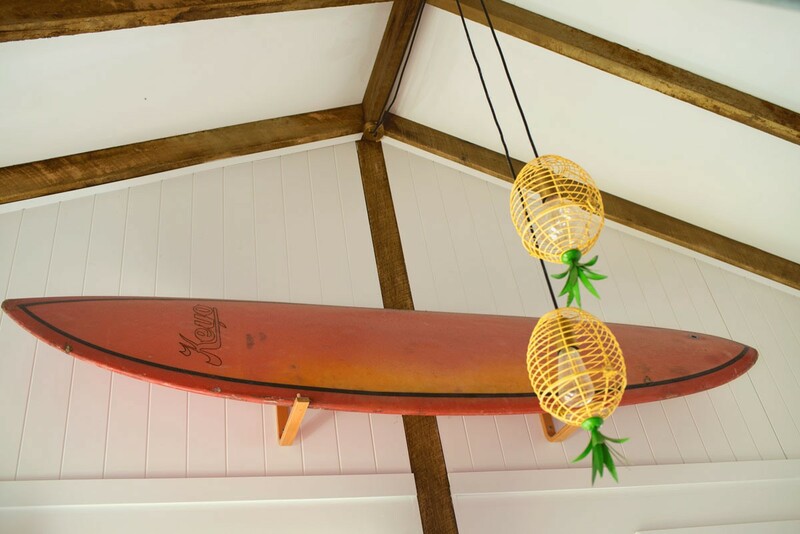 We wanted to keep with a vintage surf theme on the inside as well. We got the surfboard from a local surf shop. The guy would only sell it to us if we gave it a good home. When we told him where we were going to put it, he gave us a deal. Dannielle: Because this is such a unique space, we attract pretty like-minded people who love the ­simplicity of a tiny house. We put almost a year of our lives into this, so when other people say how much they love it, it’s really rewarding. 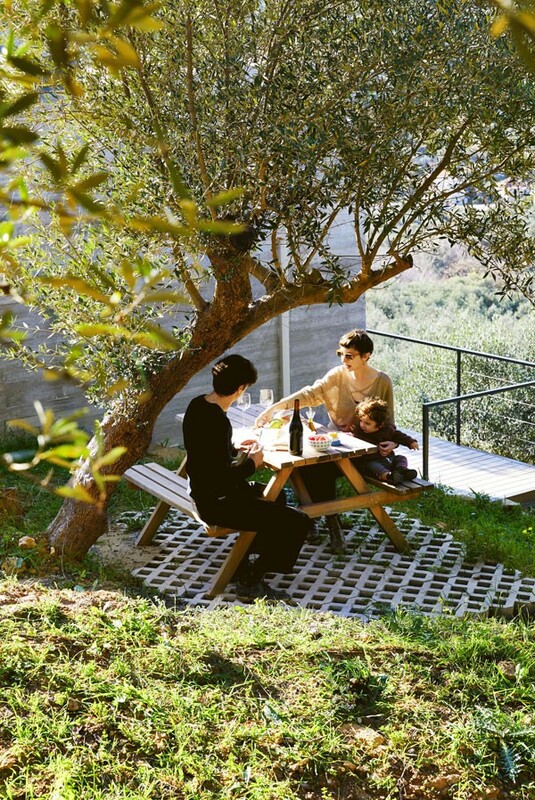 Antonis Choudalakis, Superhost: We put two houses at the edge of a cliff, in an olive grove. This land has been in my family for generations. Sofia Mavroudís, Superhost: If you drive around Crete, you see a lot of small ­concrete buildings for storage or where shepherds keep sheep. 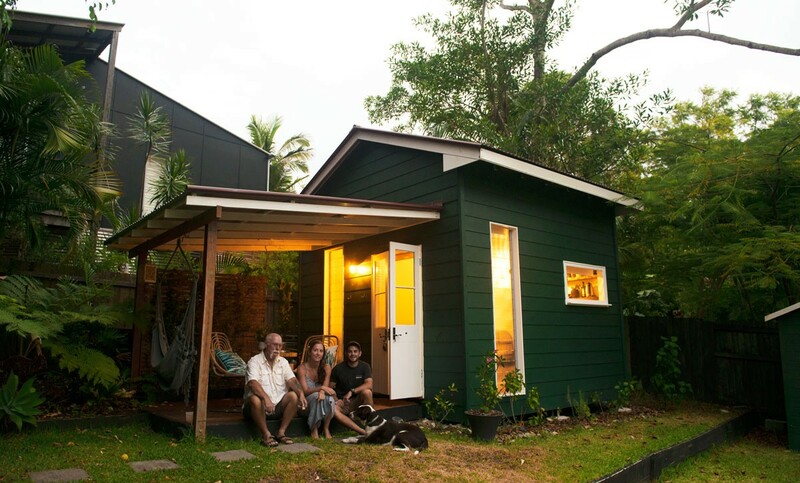 Tiny houses resonated with us because we’re into ­minimalism. We wanted to build ours from scratch. We used two ­architecture students and hired engineers, but everything is custom-made. Antonis is an artist. He built the stone stairs, made the side tables, and did work on the kitchen counters. The houses are our aesthetic: stripped down and contemporary. Antonis: Each is a concrete box with a huge window. Since you spend most of your time outside, the facilities are only what’s necessary: a bathroom, a bedroom, a kitchen. Sofia: When guests first climb the stairs, they don’t know what’s coming — and then suddenly they’re standing on the balcony, seeing the inside of the house blending with the view. We also have a vegetable garden with tomatoes, potatoes, peppers, and aubergines. I think it’s important with the tiny houses that you’re a part of nature. We wanted to show that happiness doesn’t come from excessiveness. 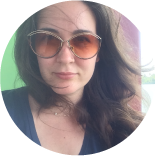 About the author: Ashlea Halpern is the co-founder of Cartogramme, editor-at-large for AFAR Media, and a contributor to many publications including Condé Nast Traveler, Airbnbmag, NYMag, Bon Appétit, and Wired. I am the co-founder of Cartogramme, editor-at-large for AFAR Media, and a contributor to Condé Nast Traveler, Airbnbmag, NYMag, Bon Appétit, Wired, etc.